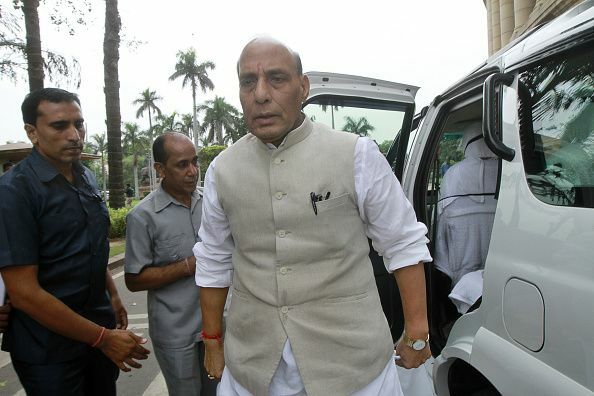 Expressing confidence that the Islamic State cannot gain foothold in India, Union Home Minister Rajnath Singh, on 28 December, asserted the country should be proud that the Indian Muslims are not inclined towards the terror outfit. Singh, who was speaking at the NIA Office here, said that the 'taleem' (education) that is being provided to them would never let them join ISIS. "As far as ISIS is concerned, we Indians should be proud of ourselves that Indian Muslims are not inclined towards ISIS and Muslim families are playing a bigger role in this," said Singh. "Percentage of Indians inclining towards ISIS is extremely low as compared to other countries. The ' taleem of Indian Muslims will never let them join ISIS," he added. The Home Minister asserted that the country should be proud that even if few Indian youth get attracted towards ISIS then their families play a big role in de-radicalisation. Despite India's large Muslim population, Islamic State has only been able to draw a handful of recruits from the country, although security officials say they don't have a full picture and that there could be more youth getting radicalised.